Keep calm and LATCH on. Calm your baby with the soothing LATCH Heartbeat Pacifier with built-in speakers that softly produce the familiar heartbeat sounds of mom's womb. It is well known that the familiar heartbeat sound of the womb soothes and comforts babies. This pacifier produces a gentle heartbeat sound from a built-in speaker that mimics what a baby hears in the womb. The sound is so soothing, it might just lull your baby to sleep. 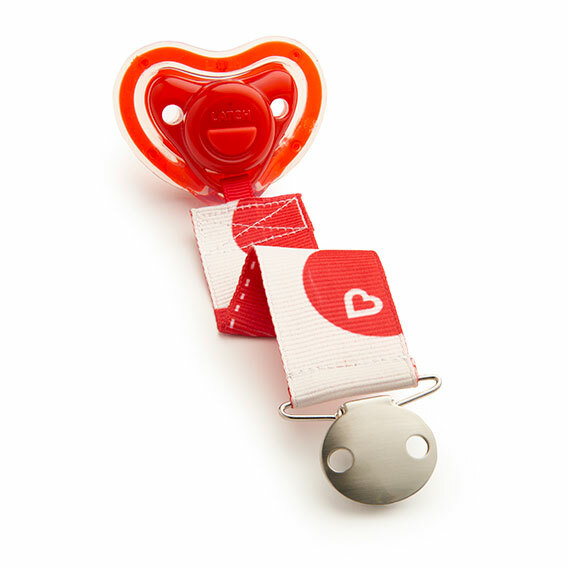 The LATCH Heartbeat Pacifier's clip attaches to your baby's clothing to help keep it off the floor and away from germs.